You can use different types of forms under the Gantt Chart or other task view to see detailed information about assignment information. 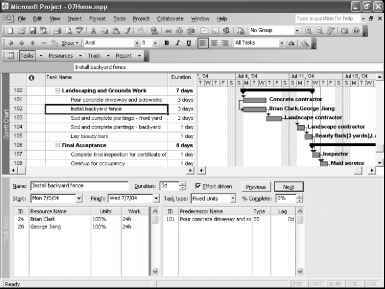 The easiest way to do this is to apply the Task Entry view, which is a built-in combination view made up of the Gantt Chart and the Task Form (see Figure 7-14). Figure 7-14. Detailed task and assignment information is shown in the Task Form in the lower pane for the task selected in the Gantt Chart in the upper pane. With the Task Form, you can easily see all schedule-related information, including duration, task type, units, and work. Click the Previous or Next button to move to different tasks. 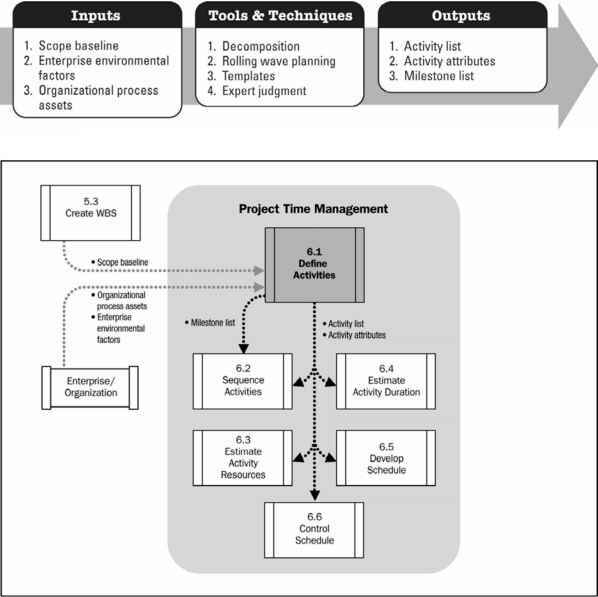 An abbreviated version of the Task Form is the Task Name Form, which dispenses with the task details and includes only the Task Name with the two tables of information (see Figure 7-15). Figure 7-15. 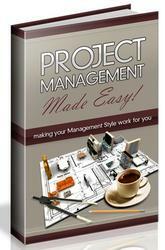 Use the Task Name Form if you're interested only in the table information. 1 Click in the lower pane to make the form the active pane. 2 Click View, More Views, Task Name Form.